Your message has been sent to Renold Scott. Like authorSTREAM? Give us a +1! 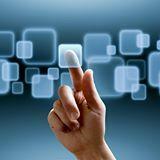 I am Web Expert at Whitepaper IT which provides best IT services and IT solutions Globally.